Monitoring your baby today is a lot different than it was a decade or so ago. 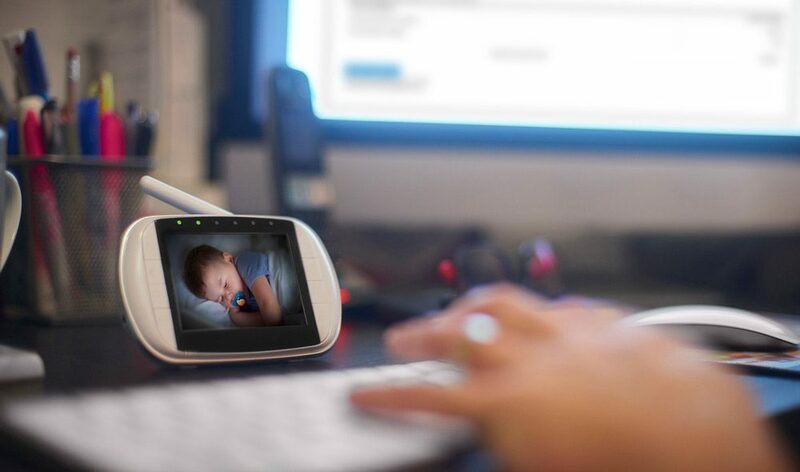 While most parents used a monitor that relied on sound back then, today they can get a live video feed with the help of a WiFi baby monitor. There is also a wider variety of monitors to choose from which can make the hunt for the right one far more difficult. But don’t worry, we have that covered for you. Keeping performance and different functionalities offered, we have selected the 4 best WiFi baby monitors. Infant Optics hasn’t been in the baby monitor game for too long, starting off in 2011. However, it has made an impact in the industry developing baby monitors that are reliable and provide a variety of features to users. One of the best features is the ability to change the lens on the camera. It allows parents to customize the camera to their liking. It comes with an LCD monitor with a 3.5-inch screen so you get a clear image of the baby while it sleeps. It also comes with a temperature monitor so you know if the room is too hot or cold. As far as battery life goes, it lasts 8 hours with the screen constantly on and 12 hours in power mode. 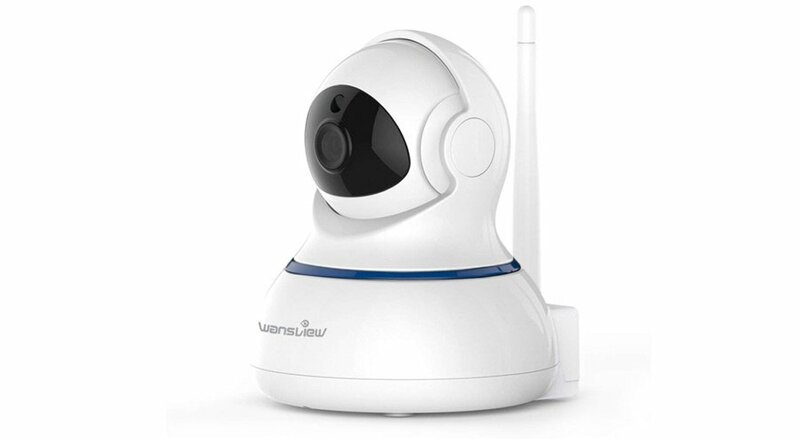 While Wansview is a security camera, it serves well as a baby monitor. It works with 2.4 GHz Wifi and needs a power supply to stay online. It provides HD video and you can get the feed directly to your mobile devices. Which is wonderful because you won’t need to have a separate device to monitor your child. The application of the system also allows you to control the camera, moving it around from your device so you can easily monitor the whole room. You get two-way audio so you can hear your child and also speak to them. Making this a wonderful monitor for babies. Netgear Arlo Baby Monitor provides high-quality HD video directly to your phone or mobile device. What makes it amazing is that it also supports Alexa so you can control the device with the help of Alexa. 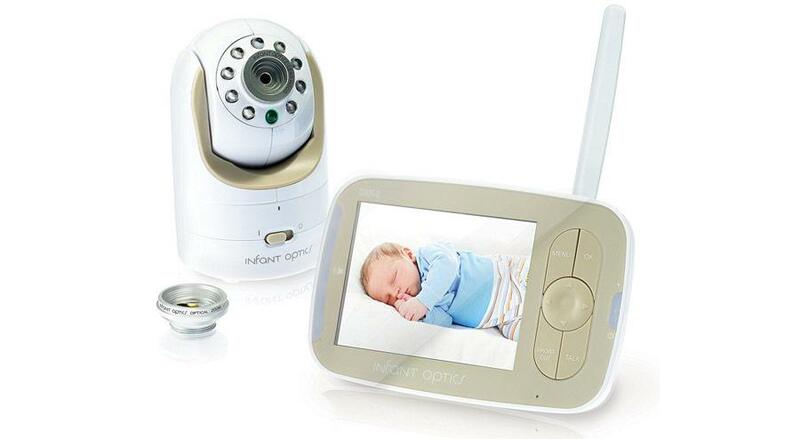 It has a neat design around the camera and definitely adds to at the aesthetics of your baby’s room. You can also record video and sound as it saves recordings of seven days on its server. It has a wonderful night vision option and comes with an air sensor so you know exactly what the temperature is in the room. 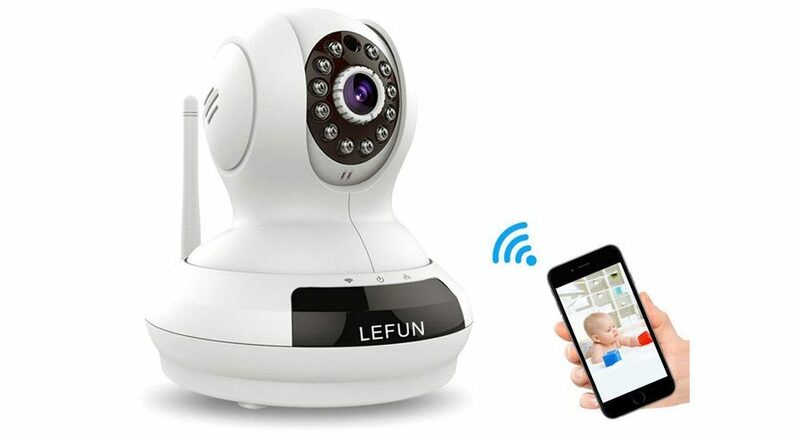 The LeFun WiFi Camera is easy to set up and use surveillance camera that can be used as a baby monitor. It provides a video feed in high-definition and has two-way audio. What we really liked about the camera is the fact that the setup was very easy. Once we mounted it, it took a few minutes to have it hooked to the WiFi and getting a feed from it to our mobile devices. It also has an SD slot so you can store video feeds in memory cards or you have the option to do so in a cloud with Cloudbox.